Yellow Grits, Cornbread Mix, Wade’s Mill “Limited Edition” Honeycrisp Apple Butter and Wade’s Mill Run of the Mill Traffic Jam. 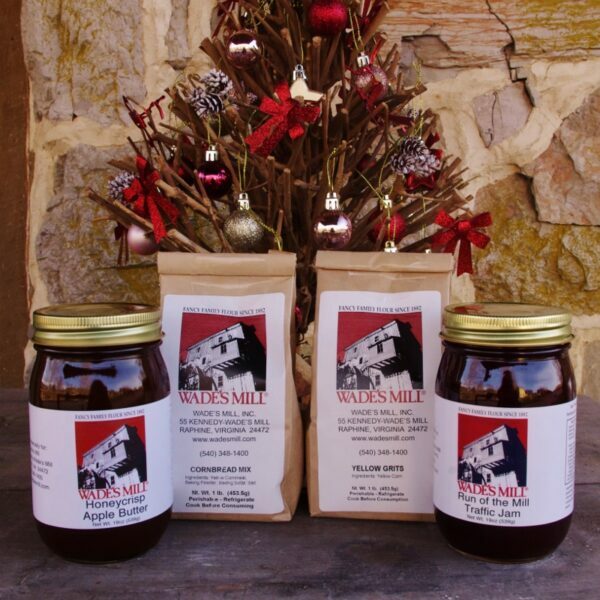 Our Yellow Grits are a Wade’s Mill classic and our Cornbread Mix is a quick way to enjoy southern cornbread, with no added wheat flour or sugar, just the way Grandma used to make it. 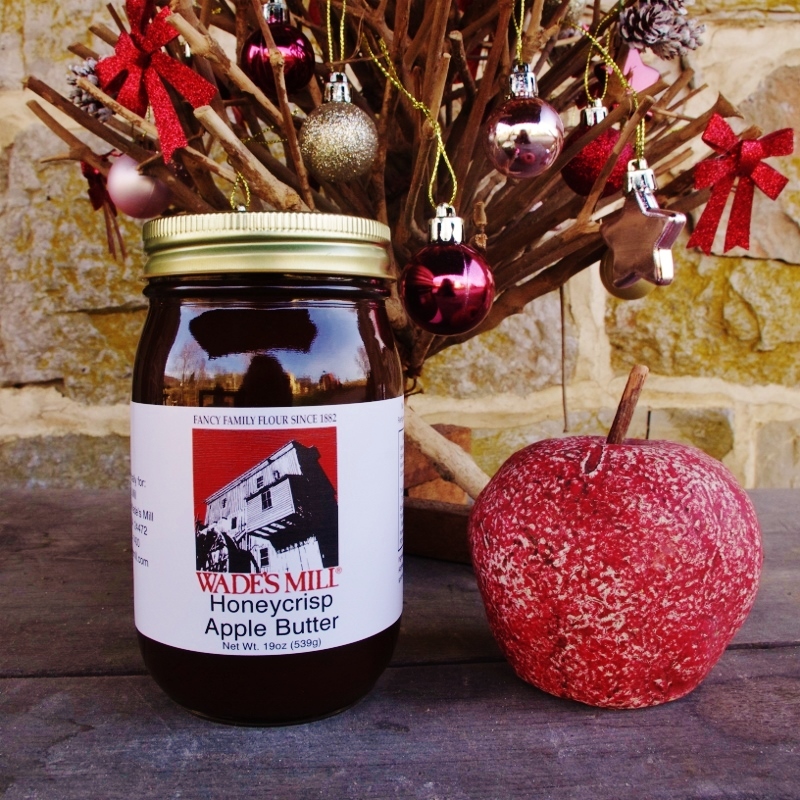 Our Honeycrisp Apple Butter has a sweet flavor with a tart finish. Our Run of the Mill Traffic Jam is a delicious and festive blend of peach, strawberry, cherry, raspberry and cranberry which is sure to please everyone on your list. Grits and mixes are 1 lb. / 453 g. packages. Recipe on package. Apple Butter and Jam Net Wt. 19 oz. / 539 g.